Most Internet users are not very engaged on Google+, the social networking medium for Google. There are complaints that it is too hard to use, no one comments or shares anything, they took away authorship and so forth. 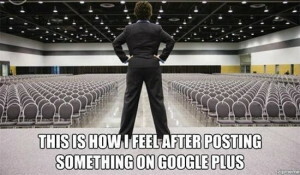 The thing is, that Google+ can actually tremendously improve your online presence. The trick is to learn how to use it in order to maximize your engagement. The first thing you will need is a Gmail account. As soon as you have a Gmail account, you are automatically on Google+. If however, you are trying to set up your Google+ page for your business, then you will need to claim your business listing in Google’s directory. To do this, use Google My Business. There is a button for Get Your Page. Then you just follow the steps. If someone has already claimed your listing, then you may have to go through some reclamation steps. At this point, it makes sense to get an SEO Utah company to help you with this process. Once you have your page, it is important to fill it out. Don’t just leave the profile picture anonymous! Add attractive profile and cover photos. For a business, you also need to fill in your hours, business description and any other information. Sprinkling your keywords here and there will help too. Start by adding all of your email contacts to your Google+ page. Then you will need to put them in Circles. Circles are a way of compartmentalizing your Google+ contacts into various lists such as Professional, Friends, Family and so on. You can create your own types of Circle too. If you are a business, get people to write reviews on your Google+ page. Also, it is helpful to post and participate in groups that are relevant to your industry, or simply interest you. This can expand your reach and boost your credibility. Join groups and post to them. Take your time and view other people’s pages. Don’t be afraid to +1 a post or comment on something. +1 is the same as a Facebook “like”. Periodically search your business in Google Maps and make sure you are still visible and everything is OK.
What Is The Point Of Google Plus? 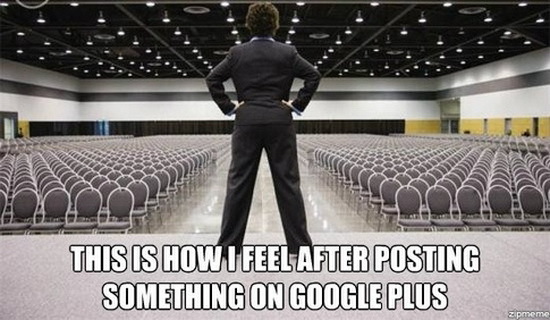 Google Plus can be casually referred to as SEO gold. If you are a business owner without a Google+ page, then you don’t really own a business. This is because your Google+ page is tied directly to your location and presence on Google Maps. Let’s face it. Everyone uses Maps to find what they are looking for. So, if someone is searching for your particular service, and you don’t have a Google Plus page, of course they will neglect to call you. They won’t know you’re there!